Well, I hate to say this but as a Chinese, I hadn’t been to the capital of my country until this November, not even for any business trips when I was at my previous job which required a lot of traveling. Yeah, I know! Shame on me! Anyways, Han wanted to check out the Great Wall, so we decided to take care of Beijing as soon as possible before it got too cold. Different from our latest Chiang Mai trip this time, instead of fixing what to do for each day or making any reservations, we only sort of looked into the places we were interested in seeing, bought one-way train tickets (kept our schedule open), and booked the hotel from Agoda again. (Just can’t get enough of Agoda, love it!) That’s it! We were ready to go! 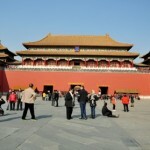 The following itinerary is the result of our plan-free open trip of the capital – Beijing! Our last day in Beijing interestingly happened to be the first day of the 18th National Congress of Communist Party of China. What a great timing! Except that there were A LOT of security guards with REAL guns on the streets, especially near Tian’anmen Square and Forbidden City where we stayed at, everything else seemed normal. 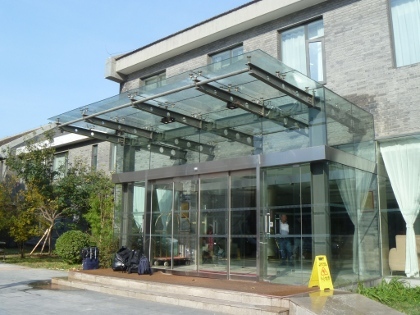 Speaking of which, let me show you the hotel we stayed at and how we got to all the places from our hotel. 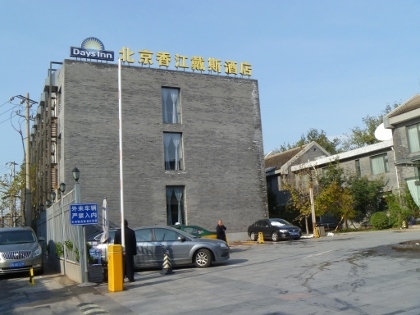 Here’s exactly where we stayed – Days Inn Forbidden City Hotel. (You will see a map on the left sidebar if you click the link.) 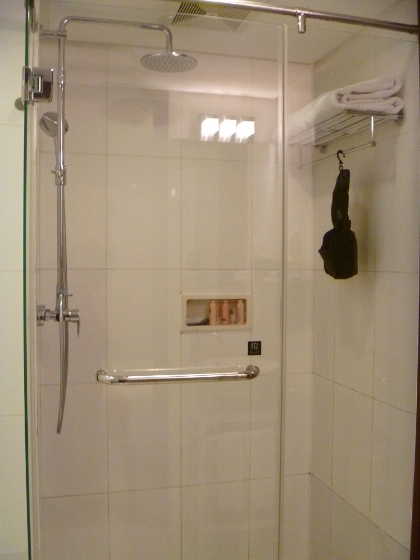 We paid 50 dollars (exclusive of breakfast) per night for a budget queen room at this great hotel located at the east of Forbidden City between Tian’anmen East Station and Wangfujing Station on subway line 1, which gives us an easy access to pretty much anywhere in the city. The budget queen room we booked was on the basement but it felt nothing like basement at all during our stay. Everything was perfect with high value of money! Our room was in this hotel building. The hotel lobby is on the right. 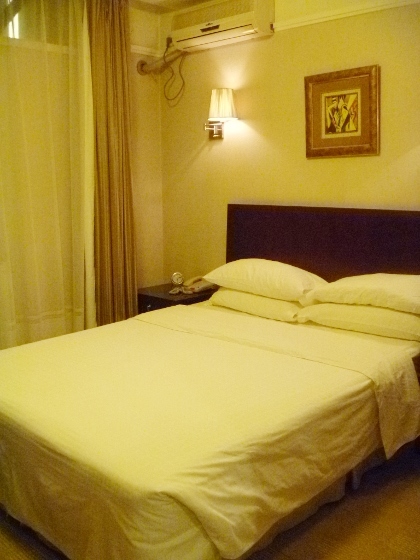 Have a glance at our budget queen room. 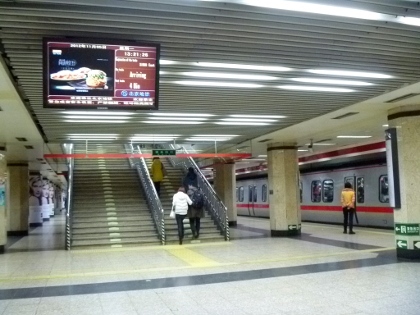 In terms of transportation, you can take subways to pretty much all the main scenic spots in Beijing. 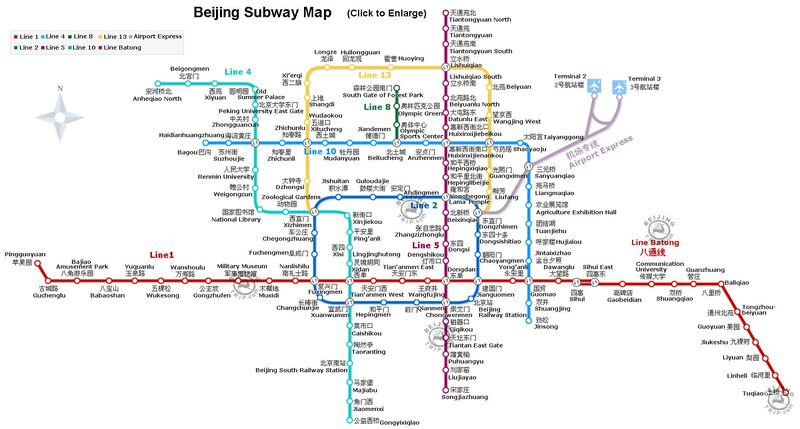 That’s how we got to Temple of Heaven (on line 5), Summer Palace (on line 4), Yuanmingyuan Park (on line 4), Back Lake (on line 2). 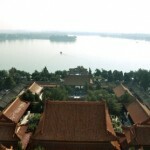 Tian’anmen Square and Forbidden City are within 5 minutes walkable distance from our hotel. 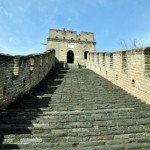 As for Mutianyu Great Wall, it’s a helluva adventure in order to get there by public transportation from the city center. However, with our in-depth research, we discovered a way that you would definitely be interested if you are going to the same Great Wall. Will talk about it specifically soon. Alrighty, that’s pretty much about our whereabouts in Beijing. 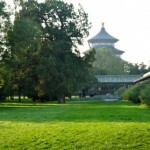 Let me take you into each scenic spot we went to, starting from Temple of Heaven. Be back soon!